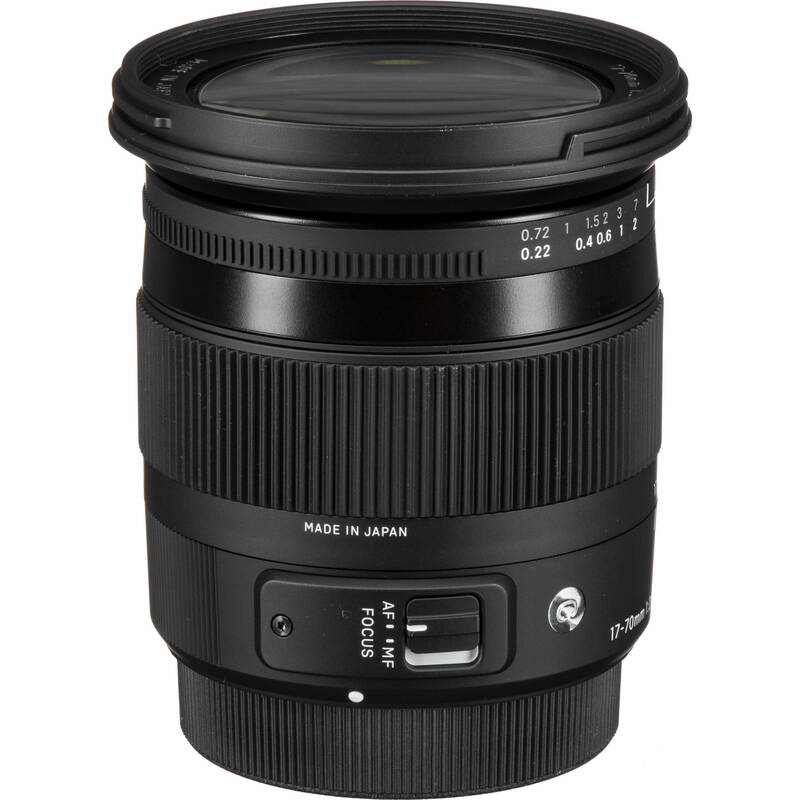 The Sigma 17-70mm f/2.8-4 DC Macro HSM Lens for Sony is a standard zoom lens designed especially for DSLRs with APS-C-sized image sensors. This lens has a 35mm-equivalent focal length range of 25.5-105mm, providing wide-angle to portrait-length angles of view for use in everyday shooting situations. This lens features a fast f/2.8-4 maximum aperture to help better control your focus plane and to aid in low-light shooting. The Hyper Sonic AF Motor delivers fast, smooth, and quiet auto focusing that greatly benefits video applications. The integration of two FLD, one SLD, and three aspherical lenses in the construction helps to reduce the effects of chromatic and chromatic axial aberrations, and Super Multi-Layer coated elements help to increase contrast for sharp, clear imagery. 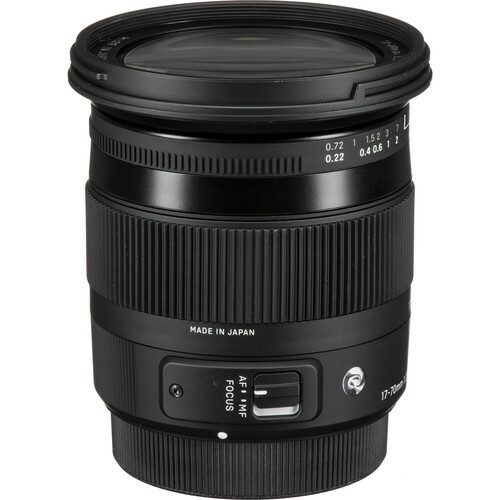 This lens is the first lens produced as part of Sigma's Contemporary line; deeming it lightweight and compact while still exhibiting high optical performance. 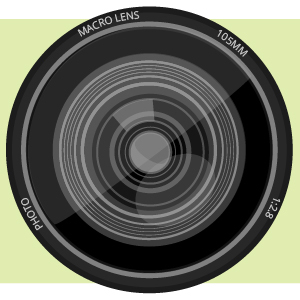 This lens' wide range of focal lengths makes is suitable for a variety of shooting applications. Utilizing an optimized distribution of optical and electronic elements, the size of the lens barrel is able to be reduced in size by approximately 30%. This reduction in weight is also afforded in part through the use of TSC materials in the barrel construction. This material offers high durability and rigidity but with less bulk than metal components. Box Dimensions (LxWxH) 6.0 x 4.1 x 4.1"
17-70mm f/2.8-4 DC Macro HSM Lens for Sony is rated 4.4 out of 5 by 5. Rated 5 out of 5 by Michael from Light, Smooth, Sharp and its not Beer Unless you opt for a very heavy lens, this is the best buy and the friendliest lens in this focal length range. Even the various guide numbers have been correctly placed to make use ergonomically pleasant. The action is smooth and firm enough so it doesn't swing by the intended setting. It performs well in low light and the results have been tack sharp. Rated 5 out of 5 by Tim from Great walk around lens I bought this lens to replace my beloved Konica Minolta 28-70 f2.8 that was starting to show it's age.? It's been a real joy to shot with.? Smooth, fast focusing.? It's lightweight and compact.? And, it's been tack sharp.? ?It goes with me on almost every assignment these days. Rated 2 out of 5 by Loli from For amateurs Its not a good lens, super basic and unprofessional. It says it opens to 2.8 but that's a complete lie. Rated 5 out of 5 by Erwin from Great Results Highly versatile and well made, I have had excellent results. Excellent value besides.